What Epson receipt printers are available? Epson makes three distinct versions of their receipt printers that are sold by POSGuys.com: thermal, impact, and multifunction. Thermal Receipt Printer: This is the most common receipt printer with the most popular models being the high speed TM-T88V and economical TM-T20II. Thermal printers use thermal receipt paper and print very quickly and quietly when compared to other printing technologies. The newest thermal printer to the Epson family is the TM-m10 printer, which featuers a more compact footprint and uses more compact 2" wide receipt paper. Impact Receipt Printer: This is an older style receipt printer that uses either a black ribbon or a dual color red and black ribbon. The most popular version of this is the TM-U220. The TM-U220 is available in a standard or a partial cut version. The partial cut version with an Ethernet interface is most commonly seen used as a kitchen printer. Multi-Function Printer: There are a few different multifunction models available that combine receipt printing with check or slip validation. The ability to use a multifunction printer relies on software compatibility. Please check with your software manufacuturer to find out what multi-function printer is compatible with their software. 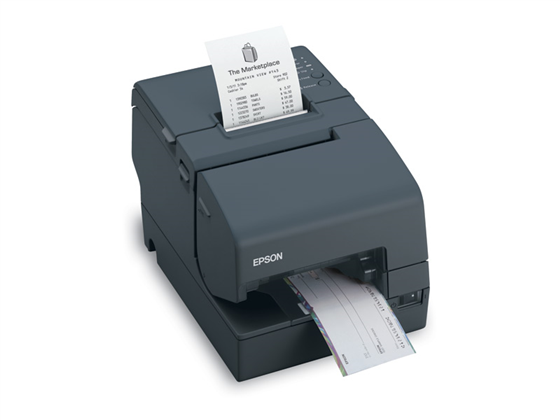 Most Epson Receipt Printers are available with a USB interface, which is the recommended for most point of sale setups and receipt printing. For kitchen printing Ethernet is very common as it allows the printer to be setup away from the PC and/or use an extended length Ethernet cable. Epson is one of the world’s top manufacturers when it comes to receipt printers. Their 88 line has been one of the most popular lines of receipt printers since the original TM-T88 all the way up the current version the TM-T88V. Epson has set the standard when it comes to how a receipt should print and what it should look like. The Epson Printing language or Epson Standard Code for Printers (ESC/P or ESC/P 2) is a printer control language that specifies how a printer should print, what size fonts to use, how the text is arranged, when to insert a line break, and all other aspects of a receipt. Because this programming language is so easy to use and works so well, it has truly become the standard for programming in a receipt printer format into a POS Software. This is something that all other printer manufacturers take into account when making their own printer. If they do not have Epson printer emulation then they are most likely not compatible with the POS Software. 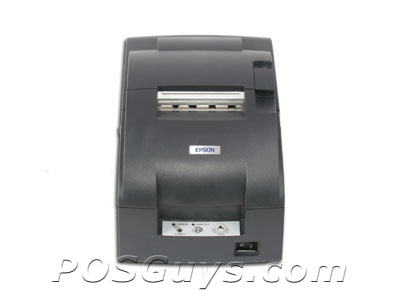 In most cases, when you're looking for an Epson receipt printer, you're looking for a thermal receipt printer. The Epson Tm-T88V and Epson TM-T20II are the two most popular models of Epson Receipt Printers. They look alike and print receipts with the same format and layout but they have some differences from one another. The 88V is the king of receipt printers. 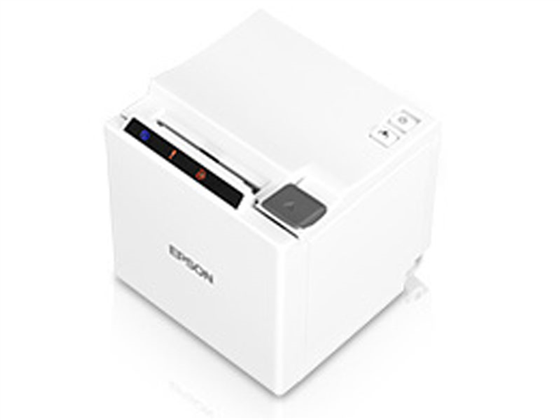 It's Epson's highest speed receipt printer and has a built in USB interface port along with the unique and flexible connect-it interchangable interface cards for changing the interface to ethernet, parallel, serial, wi-fi, etc. Plus it includes a fantastic four year warranty. Both printers have models that work on a bevy of operating systems including Windows, Android, and iOS. Both use the same Epson Printing Language and Epson printer compatibility, and both are very highly rated receipt printers. The choice is your's. Do you want to invest in a printer for today where the ready print is a fantastic choice, or a printer that is great for today and tomorrow where the more flexible and more durable TM-T88V stands out? 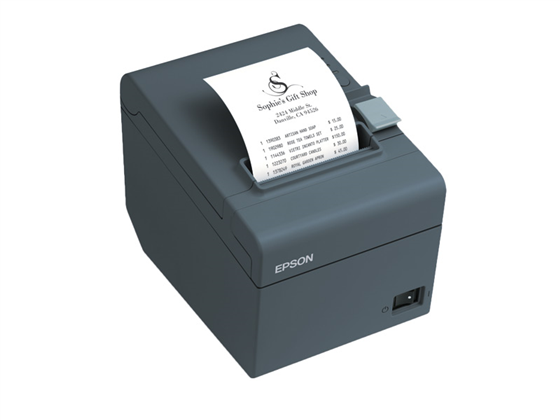 Epson receipt printers come in Galaxy Gray and Epson Cool White. The galaxy gray is a dark Gray that is close to black. The cool white is an off white that matches a beige color scheme. A new Epson Ultra White is also available on select models. The Ultra White is a bright white color and not beige. Do all Epson printers have a cash drawer port? Most Epson Printers have a cash drawer port and can connect directly to a cash drawer via a cash drawer cable. Typically a cash drawer cable looks like a phone cable but is wired differently. You will need an Epson specified cash drawer cable.